Features: Timney Trigger. Threaded. Bedded. Lightweight. New Model in Special Limited Run! Barret Fieldcraft 6.5 Creedmoor 22 Threaded. Barrett says it could not find the perfect hunting rifle, so they built one. This rifle is designed to be carried further on long days in the field and perform like a Barrett at that critical moment. The Barrett’s Fieldcraft is the perfect combination of ultra-lightweight design and heavy-duty performance. The stock is crafted from carbon fiber to provide a light yet rigid platform, while the vertical grip is unobtrusive. The actions are scaled for their specific caliber and precision barrels contoured for their application. On this version the barrel and action are made from 4140 Heat Treated Steel Bolt and NP3 Coated and held to an exact tolerance for smooth, fluid action. The button-rifled barrel is precision-honed, contoured, and crowned. Its bolt handle is attached to the bolt using a t-groove, rigidly fitted, and pinned in place. A total of five 8-40 screw holes in the top of the receiver provide the user flexibility to move the front mount forward. The carbon fiber stock comes in Jungle Cammo (Green). This Sub-MOA rifle has a crisp, user-adjustable, single-stage Timney trigger, a top-loaded 4-round blind magazine, and two-position safety, with low profile geometry to reduce its protrusion. This model is chambered in 6.5 Creedmoor with an 22″ 1 in 8 twist 5/8×24 threaded barrel. Features: Timney Trigger. Bedded. Stainless. Lightweight. 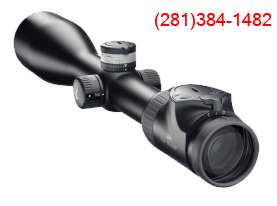 Recommended Scope: Swarovski Z3, Z5 or Z8. New Model! Barret Fieldcraft 6.5 Creedmoor. Barrett says it could not find the perfect hunting rifle, so they built one. This rifle is designed to be carried further on long days in the field and perform like a Barrett at that critical moment. The stock is crafted from carbon fiber to provide a light yet rigid platform for shooting from field positions. The Barrett’s Fieldcraft is the perfect combination of ultra-lightweight design and heavy-duty performance. The stock is crafted from carbon fiber to provide a light yet rigid platform, while the vertical grip is unobtrusive. The actions are scaled for their specific caliber and precision barrels contoured for their application. The barrel and action are made from 416 stainless steel and held to an exact tolerance for smooth, fluid action. The button-rifled barrel is precision-honed, contoured, and crowned. Its bolt handle is attached to the bolt using a t-groove, rigidly fitted, and pinned in place. A total of five 8-40 screw holes in the top of the receiver provide the user flexibility to move the front mount forward. This Sub-MOA rifle has a crisp, user-adjustable, single-stage Timney trigger, a top-loaded 4-round blind magazine, and two-position safety, with low profile geometry to reduce its protrusion. This model is chambered in 6.5 Creedmoor with an 21″ 1 in 8 twist barrel. Features: Timney Trigger. Threaded. Bedded. Stainless. Lightweight. New Model! Barret Fieldcraft 6.5 Creedmoor. Barrett says it could not find the perfect hunting rifle, so they built one. This rifle is designed to be carried further on long days in the field and perform like a Barrett at that critical moment. The stock is crafted from carbon fiber to provide a light yet rigid platform for shooting from field positions. The Barrett’s Fieldcraft is the perfect combination of ultra-lightweight design and heavy-duty performance. The stock is crafted from carbon fiber to provide a light yet rigid platform, while the vertical grip is unobtrusive. The actions are scaled for their specific caliber and precision barrels contoured for their application. The barrel and action are made from 416 stainless steel and held to an exact tolerance for smooth, fluid action. The button-rifled barrel is precision-honed, contoured, and crowned. Its bolt handle is attached to the bolt using a t-groove, rigidly fitted, and pinned in place. A total of five 8-40 screw holes in the top of the receiver provide the user flexibility to move the front mount forward. This Sub-MOA rifle has a crisp, user-adjustable, single-stage Timney trigger, a top-loaded 4-round blind magazine, and two-position safety, with low profile geometry to reduce its protrusion. This model is chambered in 6.5 Creedmoor with an 18″ 1 in 8 twist 5/8×24 threaded barrel. After years of raising the bar on longrange shooting with their 50 caliber, Barrett has now created a next generation AR. They call it the REC7 DI, and, while incredibly light, it carries some truly weighty attributes. A highly customizable direct impingement rifle, the REC7 DI can be adapted to your specific preferences. What’s more, in true Barrett tradition, this rifle is hand-built and intensely precise for accuracy that’s truly one of a kind. Shoot it thousands of times, drag it through the mud, submerge it in the water; whatever the case, it’s built to be reliable for years. The REC7 DI is a lightweight, direct impinged operated semi-automatic rifle equipped with a match grade stainless steel barrel, Magpul MOE® furniture, Barrett designed 15” KeyMod handguard, Bravo Company Gunfighter charging handle, muzzle device, and ALG Defense ACT trigger. The REC7 from Barrett. Shoots holes in every excuse. This is the Model 15423 in the amazing 300 Blackout! 1in 8 twist. Cerakote Tungsten Grey Color! Features: PISTON. Gen 2 Barrett Specs. Condition: New In Grey Soft Case and Box! NOTE FROM THE SCOPESMITH ABOUT THE “FLYWEIGHT” VERSION OF THE REC7: Barrett had a wonderful idea of stripping their top-of-the-line REC7 Gen 2 from third party accessories that bulked the price and the customer may not want: Geissele SA trigger, sights, muzzle break and the fancy Barrett Soft Case (a more economic soft case is provided). So, if you want a “finished” REC7 you should purchase the regular ~$2,300 version but if you want a 100% REC7 but have your own ideas about trigger, sights, optics or muzzle device/suppressor adapter THIS IS YOUR UNIT FOR $450 LESS! Arguably the best Combat AR-15. Compact, accurate and completely trustworthy, the REC7 is designed specifically for situations in which there’s no room for error. Styled in the familiar AR configuration, it’s a no-nonsense rifle you can trust with anything—including your life. The REC7 rifle’s forged 7075 aluminum upper and lower receivers are Type 3 hardcoat anodized. The lower houses an ultra-dependable single-stage trigger. The upper supports a free-floated, hammer-forged, chrome-lined barrel with M4 feed ramps machined into the receiver and the barrel extension. A mil-spec A2 flash hider protects the muzzle. The REC7 DI is a lightweight, direct impinged operated semi-automatic rifle equipped with a match grade stainless steel barrel, Magpul MOE® furniture, Barrett designed 15” KeyMod handguard, Bravo Company Gunfighter charging handle, muzzle device, ALG Defense ACT trigger and the excellent Barrett solid Alloy Sights.. This is the Model 15984-S in Burnt Bronze Color! Also available in BLACK, TUNGSTEN GREY and FDE!